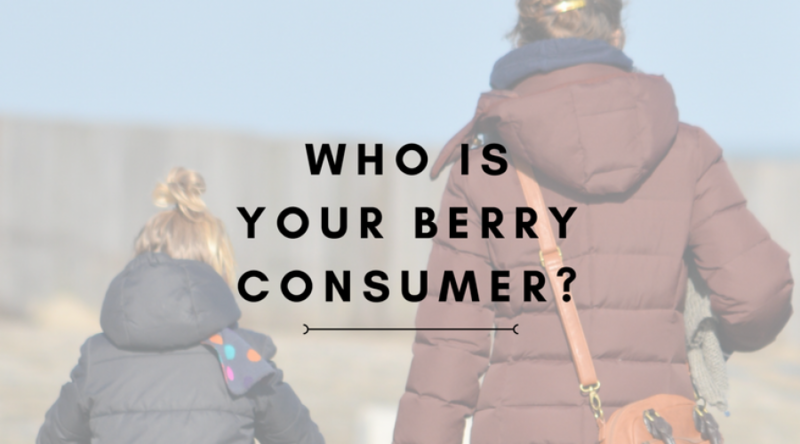 Profile your buyer to increase berry sales, while boosting other produce sales, too. There’s a lot to love about strawberries. Those sweet, red beauties are the ultimate natural treat: versatile, convenient, and packed with nutrients. They’re delicious on their own and the perfect accompaniment to many recipes- from breakfast to dessert. It’s no surprise that strawberries remain the number one favorite fruit with consumers, year after year. They practically sell themselves. If you’ve been stacking your berry clamshells in nice rows every season, putting them on special, and running ad campaigns for them: good job. You’re probably getting more shopper traffic and seeing decent sales. But you could be doing better. Perhaps a lot better, with just a little extra effort. Honing in on your main consumer demographic is one way to easily increase sales without putting in a whole lot of extra time, money, or energy. So. 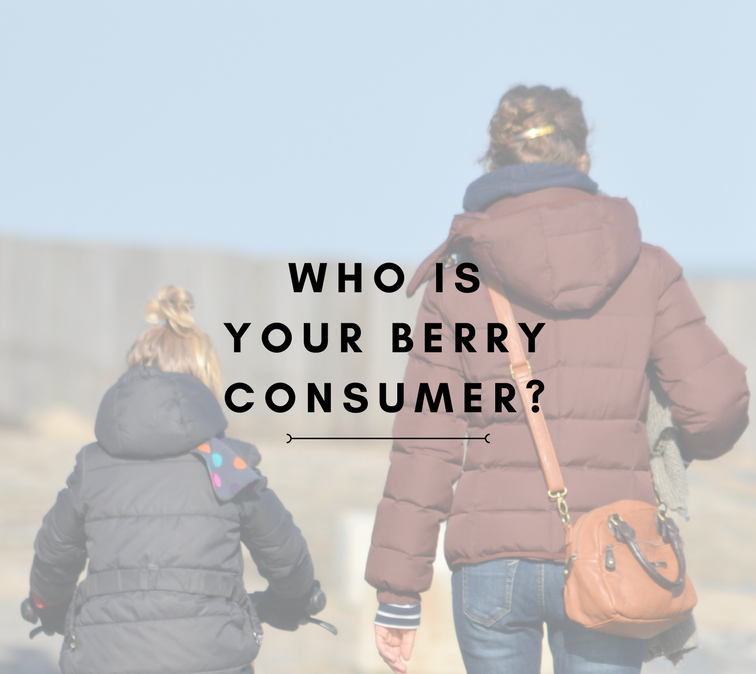 Who is your berry consumer? Obviously, there is no demographic more important for retailers to understand than mothers. They do most of the shopping in America, regardless of product. And millennials (age 18 through 34) are a rapidly growing segment of shoppers, to the tune of $200 billion in spending power. According to recent consumer research conducted on these two groups, there are some important findings that produce retailers should keep in mind if they want to really speak to these shoppers – and sell lots of strawberries. Health. Moms want to provide their families with good nutrition, and they especially want their kids to eat healthy meals and snacks. Make it easy for them by placing lunch and convenience salad items near your strawberry displays, along with nuts and travel-size snack packs of fruit and veggie bites. Stock organic varieties along with standard strawberries, too. Consumers are accustomed to a secondary price structure for organic, and will pay more for something they perceive as being healthier for their families. Moms also respond positively to health-oriented printed materials, such as nutrition charts and recipe suggestions. Remember, harried moms are looking for any help they can get, so when you focus on what’s important to them and make things convenient for them, you’ll earn a more committed shopper. Cost. Promote standard one-pound strawberry packs regularly, and add larger package sizes at bulk prices, which may be perceived as good “deals” by mothers shopping for larger families. When you set up larger displays, you can offer an assortment of sizes and varieties. Retailers report a 50% increase in organic and two-pound package sales when they are displayed alongside conventional one-pound packages. And visually speaking, an array of choices makes a strawberry display even more compelling. Convenience. Millennials are all about one-stop shopping, and prefer to do most shopping online when possible. They steer clear of stores where checkout may be slower, so keep your strawberries as close to the front of the store as possible. (This is a great general tip for any grocery store as prominent berry displays can boost overall store sales.) Millennials love to save time by using and combining ready-to-prepare meals. Make it easier for them to add strawberries their shopping cart by keeping customizable salad mixes nearby, along items for other “convenience meals”. Cost. Millennials can be penny-pinchers when it comes to buying food – possibly because they are accustomed to having have less in their wallets than older shoppers. Rising food costs and a green-conscious, no-waste philosophy probably contribute to more modest millennial spending as well. Use the mom tips above for offering discounts and making strawberries seem like an affordable option, rather than any sort of splurge. Taste. Millennials exploring food trends, global flavors, and trying out things they see on social media. Arrange your produce department to accommodate global chiles, spices, or items with other ‘exotic’ flavor profiles. Just keep things oriented to convenience – products for millennials need to be ready to cook and easy to prepare. Remember, there’s always more you can do to leverage profits with berries, beyond just setting products out and letting consumers fend for themselves. Stay tuned to this space for more ideas and tips from Well•Pict Berries!